Create effortless style with this AX Paris dress. 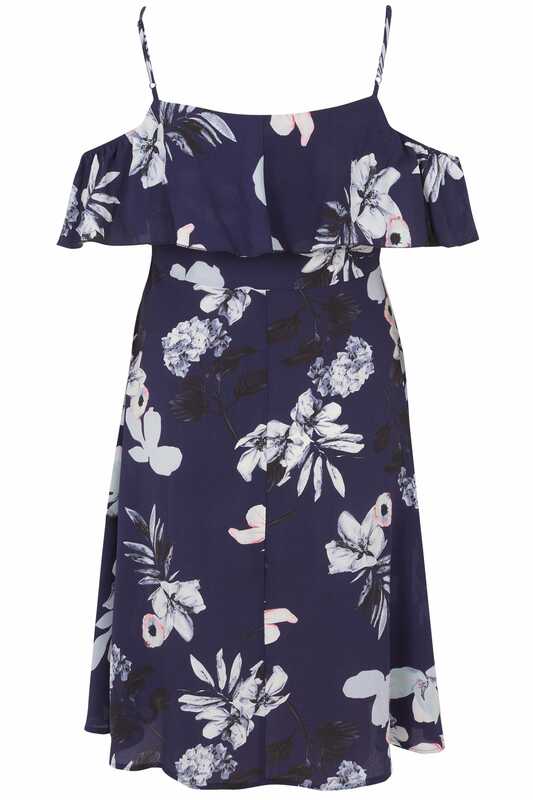 Cut to a midi length, the on-trend cold shoulder style offers a layered finish with adjustable straps for the perfect fit. Team with sandals and a denim jacket for a more casual look, or dress it up with your favourite heels and a box clutch. 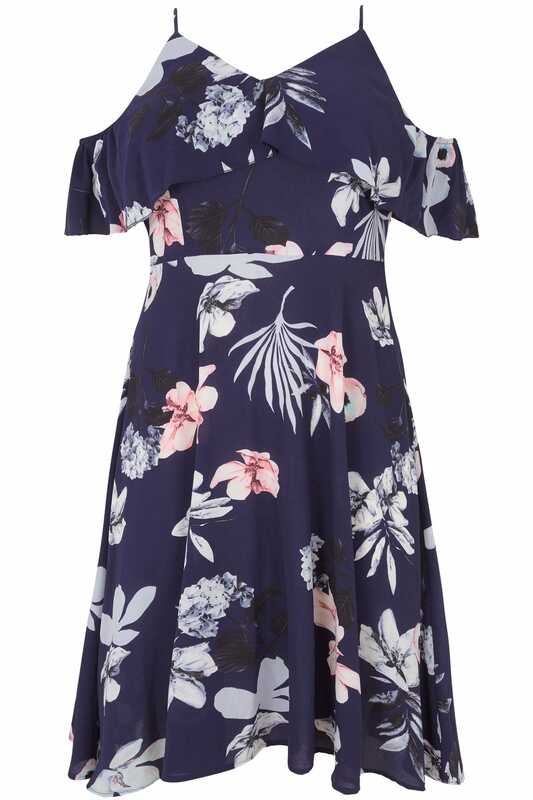 We are loving the navy base and elegant floral print.